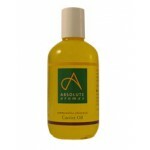 Absolute Aromas select oils from controlled, sustainable sources that have little or no negative impact on the environment. None of their products are tested on animals and all are free from GM material. All unfragranced base products are as natural as practicable and all are sulphate free. Nothing they supply contains parabens. 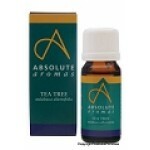 A leading international supplier of pure essential oils and other aromatherapy products. Selection of pre blended oils and massage blends, floral waters, bath salts and aromatherapy accessories. Millmark stocks a range of certified essential oils and blended oils commonly for use in diffusers or with massage carrier oils. The stocked range of single essential oils includes bergamot, chamomile, citronella, clary sage, clove bud, eucalyptus, frankinsense, geranium, juniper, lavender, lemon, lemongrass, maychang, orange, neroli, patchoulli, peppermint, rose, rosemary, tea tree, ylang ylang, and others. 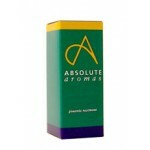 Absolute Aromas' typical stock of blended oils includes blends for breathing easier, sleeping, headaches, travelling, relaxation, romance, protection (hygiene) and focus. Key point: Their essential oils are certified as from natural sources as opposed inferior synthetic oils which prevail in this sector.